WebRoam enables a leading VoIP service provider to offer consumers a next-generation VoIP service which delivers rich P2P communication features from IP to Mobile/PC. The company offers a comprehensive portfolio of VoIP products to meet the needs of all, from telcos, wholesalers, enterprises to end users. WebRoam's white-label, cluster-based OTT solution allows service providers to embrace this new technology and quickly launch a service of their own. With WebRoam's OTT Solution, service providers and enterprises can deliver text, voice, video, chat and conferencing applications to drive traffic onto their networks and retain subscribers. Free or Paid charge for all operator's users for secure, rebust and high quality communication. IP networks allows users to use their existing phone numbers to initiate or receive calls on the device of their choice, be it a home phone, a smartphone or tablet application or a web app running on a laptop or desktop computer anywhere in the world. Extends an operator's "coverage" beyond the physical reach of their network and reach a user over any IP network anywhere in the world. A white label service that allows carriers and MVNOs to launch their own brand of OTT service for telephony and other communications services. Ease of bundling new free or premium services to existing service plans. 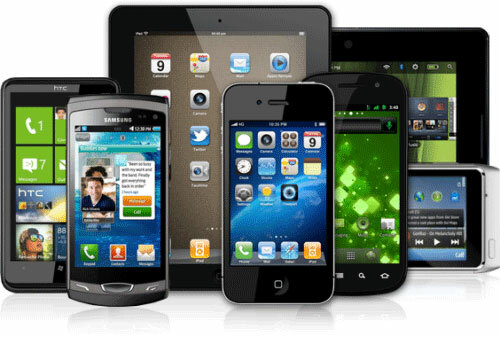 A multi-device solution that is optimized for mobile. Webchat's VoIP service is the core of our offering, with millions of users worldwide enjoying crystal-clear voice over a wide range of cellular and Wi-Fi networks. Call routing can be determined dynamically according to preferred policy as well as network quality. Making video calls in Webchat is simple - just use the dedicated video call button. Video can also be initiated or terminated anytime during a call, allowing users to seamlessly switching between video and voice mode. Webchat's Dynamic Video Quality technology continuously adjusts the video quality to match the available bandwidth. Text messages can be exchanged between any Webchat user and are available also during calls. Text messages are received even when the application is not running. At any time during a voice or video call users can extend the call to additional participants and create a multi-party conference call. Telecom carriers, operators and MSOs and MVNOs can choose to take advantage of our brand in their offering or create a white labeled service in their own brand. The IP communication services can therefore be easily customized to fit our customer's graphic, language and service requirements. Service offering - determine which services will be included in the solution. Network integration – communication, provisioning, billing and monitoring. OTT applications are available on Google's Android, Apple's iOS and for Windows phone and PC.